Some thirty years ago or so I moved to Texas from my native Southern California. I didn’t realize at the time that I was running straight into a blues revival and I was leaving another in my rear view mirror. Looking back on it, 1979 was a watershed year for the blues. Two albums came out that had an impact on the blues world. There was no immediate clap of thunder upon the release of the self titled debut albums of the Fabulous Thunderbirds or the Hollywood Fats Band. The influence of these two albums and these two bands however helped to ignite a blues revival on two fronts and create an awareness of American roots music that is still felt today. As for me, I became aware of the T-Birds almost immediately upon my arrival in North Texas. 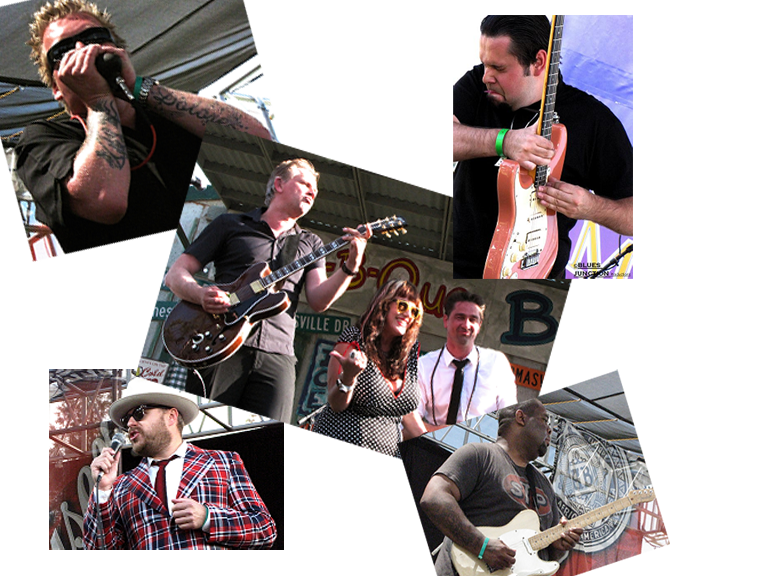 The T-Birds sound incorporated styles from different parts of the country but their influence in those days was primarily limited to the state of Texas. Kim Wilson and Jimmie Vaughan had already achieved near legendary status in the state. The harmonica was not an instrument that was particularly prevalent in Texas blues. It was big fat horn sections that usually drove the Texas sound. Wilson brought the Little Walter influence from Chicago and combined it with big helpings of the old Excello Records’ sounds of Lazy Lester and Slim Harpo. Wilson mixed it all up with the most revered instrument on the southern plains, the guitar. Jimmie Vaughan had a massive impact on Texas music and the 80’s roots revival. He was the young gun that other players aspired to be. His sound, which owed a great deal to other Texans like Freddie King, Johnny “Guitar” Watson and Albert Collins, was and still is the gold standard. At the same time, in my native Southern California, another band made what turned out to be a groundbreaking record whose influence still reverberates. 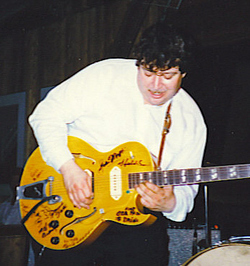 The Hollywood Fats Band featured guitarist Michael “Hollywood Fats” Mann, who didn’t live long enough to see his legacy take shape. His fellow band mates Al Blake, Fred Kaplan, Larry Taylor and Richard Innes, along with James Harman, Rod Piazza, Junior Watson, William Clarke, Lynwood Slim and others, have spent the last thirty years as sort of an anchor to West Coast Blues which is now revered all over the world. These great players were the link to the previous generation of West Coast players such as Pee Wee Crayton, Eddie “Cleanhead” Vinson and Lloyd Glen. During the same era, bands from the east coast were making some noise with roots music as well. The Stray Cats had found an audience who was ready for an updated version of the vintage rockabilly, Sun Records sound. In the Washington D.C. area, the Nighthawks were making a lot of noise, playing to big crowds and getting rave reviews. Up in New England, Roomful of Blues and Duke Robillard were giving audiences a large dose of swing with their rhythm & blues. In and around this time in the Pacific Northwest, Curtis Salgado and Robert Cray, had their own soulful blues revival going that would soon find a larger audience. Radio programmers were calling this music Blue Wave. A reference that distinguished it from the dominant trend at the time in music that was called New Wave. These FM and MTV trend chasers never saw beyond a handful of young bands and looked at Blue Wave as some kind of cute trend. It was, in fact, a full blown revival in American roots music and it resurrected the careers of countless older blues musicians that had either retired completely or had been pushed so far out of the spotlight that few even knew they were still playing. Blues music was covered by mainstream music critics in big city newspapers. If this revival had a face, that visage had on it the toothy grin of a young Texan. The man who was known in the Lone Star State simply as Jimmie’s little brother became an overnight sensation and an enduring icon. Stevie Ray Vaughan’s brand of blues resonated with audiences who didn’t give a hoot about blues music and to fans who did. I had always felt that other bands, including the T–birds and the Hollywood Fats Band found the door and had the key to success in the roots music field but it was the little brother from Texas who kicked that door off its hinges and found a larger audience on the other side. That larger audience to some degree never went beyond SRV and the younger players he influenced. 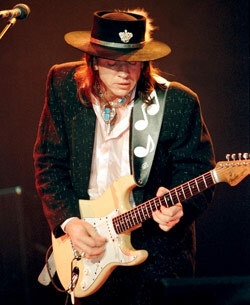 Stevie Vaughan incorporated many blues influences with heavy doses of Albert King, Otis Rush and Buddy Guy. He mixed it all up with a big slab of Hendrix. This synthesis of rock and blues was irresistible to many players and fans. Vaughan’s death on August 27th 1990 marks the crest of the blue wave. For the next ten years we rode that wave until it crashed on the shore in the first couple of years of the new millennium. During that time blues nightclubs sprung up in big cities, small towns and even in suburbia. All the while a new crop of terrific blues players came into their own. The downside however was that the blues world got organized. A whole bunch of busy bodies with too much time on their hands and not enough of anything in their heads decided to take it upon themselves to “Keep the Blues Alive”. We have been infected by blues societies ever since. It wasn’t dead but they have tried very hard to kill it. Unless their mission is to drive away mainstream audiences from this music in droves then you realize that, with very few exceptions, these often well intentioned folks have been abysmal failures. They almost always insist on having large doses of rock with their blues. It makes you wonder if these folks are blues fans at all or just burned out classic rock fans. A prime example of this exists right here in Southern California. The Los Angeles Blues Society’s (LABS) function according to their leadership cabal is to, “Support their member bands.” Any band can become a member. They have to pay for this privilege and in turn LABS acts as sort of a de-facto publicist. They put their member bands on their monthly calendar and book them at LABS events. It doesn’t take a visionary or someone with an extraordinarily high IQ to see that this is a colossally bad idea. In practice it is even worse. If these policies aren’t damaging enough, and they are, the worst element of the LABS is that when they attract fans outside of their own club they very often give a poor first impression. I think first impressions are important. If a person who is hearing a blues band for the first time, is listening to a really bad band, they are likely to be turned off to this music forever. They might not ever explore the deep and rich history of this music and sure as hell wouldn’t be very anxious to hear its future. For the neophyte, it is a logical assumption that if they are attending an event endorsed by an organization called the Los Angeles Blues Society that the musicians they are hearing are top shelf. The music presented by LABS with very few exceptions can’t even see the top shelf and wouldn’t recognize it if they did. The LABS folks are very nice people who should know better. I suspect they don’t. This might explain why that in the coverage you see in BLUES JUNCTION not once have I run into any of the hierarchy of LABS who paid to get into a blues club date, concert or festival. They simply don’t support this music with their patronage. They don’t lead by example. Don’t get me wrong I have, like all of us at one time or another, been in a tavern when a bunch of third rate musicians were on stage butchering the same blues covers note for note that every other bar band plays. I could still enjoy myself. I however certainly wouldn’t go out of my way to experience this. I certainly wouldn’t promote this. I also understand that living in Southern California I am very fortunate to have options. I think as informed blues fans we have the responsibility to exercise our entertainment options as it relates to live music more judicially. It should be noted that we have here in California some terrific organizations that have gone above and beyond to promote blues music in an intelligent and responsible way. They are celebrated here at BLUES JUNCTION. The vanguards on the scene out here are the Santa Barbara Blues Society, the Golden Gate Blues Society as well as Michael Kinsman and his fine organization, Blues Lovers United of San Diego (see our links page). 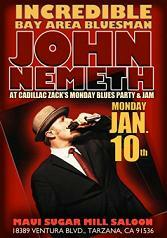 In Southern California one of the best blues stories of the year is Cadillac Zack, who presents the best regional and national talent in L.A.’s San Fernando Valley every Monday night. Artists that often have weekend gigs can stay over an extra day and play in front of a paying crowd on an otherwise off night. Zack who is a thoughtful, intelligent advocate of quality blues music is also the president of the Southern California Blues Society. What can we blues fans music do? For starters we can exhibit discriminating taste in supporting the blues. We can point younger fans in the right direction. We should not be afraid to say, “Just because it is blues music doesn’t mean it’s necessarily good music.” We can find those special, original artists who are trying desperately to get our attention. We don’t have to pander to bad taste. We can be leaders. We can also stop being the American idle. We can choose to get off our collective asses and support the music which we claim to love. Contrary to popular belief, we do have an entertainment budget. Too many of my fellow baby boomers choose to spend their entertainment money on real big TV’s. Too many people spend too much time watching low brow entertainment in hi–def. We can at least take some of this disposable income and invest in our country’s cultural past and in its future. Our parents passed on the gift of American roots music to us, yet some of us spend more time playing Guitar Hero than actually listening to one. Dare to be an adventurer. Be an explorer. My generation, who once prided itself on iconoclastic ideals, spends more money each year on Classic Rock “tribute” bands than supporting the next generation of iconic blues musicians. We spend more time and money wallowing in nostalgia than being innovative patrons of cool. As we look back on it some thirty years in our rearview mirror, the albums released by the Fabulous Thunderbirds and the Hollywood Fats Band are now considered classics. They have stood the test of time and hold up quite well to the artists these young musicians revered. 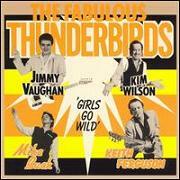 The T-Birds record that was always referred to as Girls Go Wild has been officially designated as such. 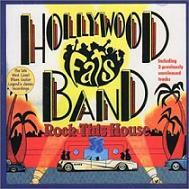 The Hollywood Fats Band's album of the same year has been reissued along with bonus tracks. It is called Rock This House. Listen to what guys in their twenties sounded like in the age of disco, when blues music was, for many, off the radar. These are musicians of courage and conviction. They had to endure the same type of indifference to their music that many musicians have to tolerate today. They didn’t however have to pay a ransom to a blues society and cow tow to part time, do-gooders who have an inflated sense of self importance. I guarantee if organizations like the LABS were alive back then they wouldn’t have anything to do with the T-Birds or the Hollywood Fats Band and I promise you no one in any of those bands would come near the LABS either. There is a whole new generation of players who have the same courage and conviction these young men of the seventies had. Many of them are sophisticated and knowledgeable enough not to try and be the next SRV. They have moved past that, even though many of the fans have not. They deserve our patronage and support. It is the thirtieth anniversary of the beginning of last blues revival. We are way overdue for the next one. Let’s get our heads out of the sand and paddle back out in these choppy, uncertain waters of the music business and catch the next blue wave. Note: It should also be noted am not affiliated with or have ever been a member of any blues society. I don’t have dog in this fight. I just call ‘em as I see ‘em. I should also direct you to a couple of articles in the archive section of this site which describes two examples of what responsible blues organizations are capable of. Read a fine piece by Kennan Shaw entitled, Not So Secret Societies and one I wrote a couple of months ago entitled, Blues Lovers United. Additionally, I dedicate this essay to all the great musicians who have helped me write it. Your dedication and perseverance in the face of the people who are trying to marginalize your craft is inspirational. I know many of you cats have read this and offered notes and suggestions. I would also like to thank some of the members of the LABS for having the intelligence to step beyond the insulated, misguided thinking of this organization and seeing the larger picture and what is at stake. Thanks for reaching out to me. Before I put this story on line I spoke with the Vice President of LABS Elizabeth Hangen. Elizabeth confirmed my story and was honest and forthright in her assessment of the organization she is a part of. I appreciate her candor. We found much common ground and mutual respect in our 90 minute conversation. We disagreed on one major point. Elizabeth said repeatadly (three times according to my notes) that, “LABS, has had no effect at all on the Southern California Blues Scene.” We agreed to disagree on this point. BLUES JUNCTION is after all a junction of thought and a crossroads of ideas. There is always room for different points of view.